Syrians in government-controlled areas have cast their ballots in the first local elections since anti-government protests in 2011 spiralled into a full-blown war between rebels, government troops and foreign backers. Polling booths opened at 7am local time (04:00 GMT) on Sunday across government-held parts of the country where more than 40,000 candidates would compete for 18,478 seats on local administrative councils. Sunday is a regular working day in Syria but voting was extended by five hours until midnight (2100 GMT) because of “high participation”, state news agency SANA said, without giving turnout figures. Voting was similarly extended in 2014 when President Bashar al-Assad won a landslide victory with 88.7 percent of the vote, renewing his reign for another seven years. The US, EU and Gulf Cooperation Council all dismissed that election as illegitimate. Syrian state television broadcast footage of voters around Damascus and in the coastal government bastions of Tartus and Latakia. The footage showed voters dropping their ballots into plastic boxes as election officials looked on. The channel also showed images of voting in Deir Az Zor, the eastern city recaptured in full last year by Syrian troops after fierce battles against the Islamic State of Iraq and the Levant (ISIL, also known as ISIS) group. According to the AFP news agency, there appeared to be fewer people heading to the polls than in previous presidential or parliamentary elections. “I know exactly who I am going to vote for – he’s young, active and his victory will bring good things to residents of this area,” said Kabbadi. “Why vote? Will anything change? Let’s be honest,” said Humam, a 38-year-old working in the capital’s Mazzeh district who opted to stay home on Sunday. “This election is an integral part of the Syrian government’s propaganda, that it’s heading towards a recovery, that the community is healing, that the Damascus-based government is still a functioning government and that it’s heading towards a better place. The number of seats in this year’s elections had slightly increased from the roughly 17,000 available posts in the last elections, as smaller villages have been promoted to fully fledged municipalities. However, Gharibah said with the law prohibiting displaced Syrians and refugees from voting, turnout was likely to be low. “The general election law in Syria, what’s known as law number five for 2014, says the right to vote in local elections can only be done where you were born or the place you have your civil registry. “So, if you’re from Aleppo and you have been living in Damascus for the past 30 years, you cannot vote for the municipality for Damascus, you have to physically cast your ballot in Aleppo to be able to participate in these elections. “With more than six million IDPs, they won’t have the right to vote unless they can physically cast their ballots in their areas, and that’s not possible for a lot of areas. 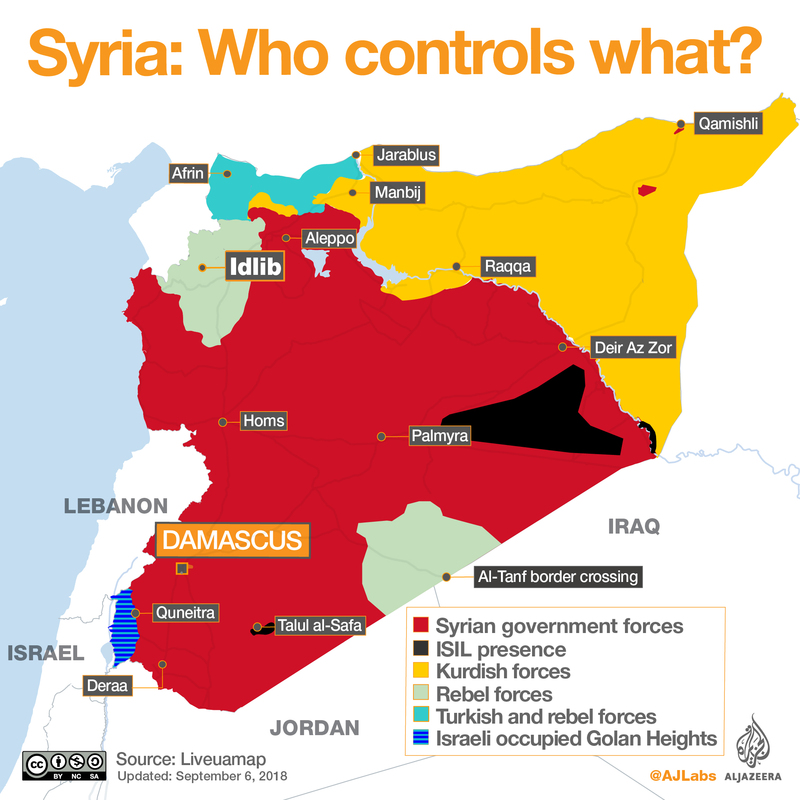 Syria last held local elections in December 2011, just nine months into the seven-year war which, according to UNHCR figures, has seen nearly 500,000 people killed and displaced more than 11 million. The last parliamentary elections were held in 2016.